The 2016 Toyota Yaris subcompact hatchback proves that great things truly do come in small packages. The recently redesigned Yaris is now more spacious than the previous generation, with improved fuel efficiency and even better road manners. When shopping for a small car that sips fuel and offers versatility that can only be matched by larger, more expensive vehicles, check out the 2016 Yaris. Lipton Toyota, serving drivers near the communities of Hollywood, Deerfield Beach, and & Weston, invites local drivers to stop into our Ft. Lauderdale, FL showroom to test drive the fun and frugal 2016 Toyota Yaris. How does the 2016 Toyota Yaris compare to Chevrolet's Sonic subcompact? If you are shopping for a subcompact car, chances are that fuel efficiency is important to you. With an EPA-estimated 30 city/36 highway mpg rating, the Yaris hatchback bests the Chevy Sonic by a whopping five mpg in the city! City mpg ratings are very significant for subcompact cars, since most drivers of these small vehicles spend most of their drive time in cities, where the maneuverability of subcompacts really shines. Subcompact cars are some of the most affordable new vehicles available, but they should still provide a good amount of comfort, convenience, and tech features. Toyota has packed the 2016 Yaris with a long list of standard amenities that the Chevy Sonic just can't match. Included on every 2016 Yaris is a 6-speaker audio system with CD/MP3 player, and power windows with one-touch driver power window. A navigation system is also available on the base model Yaris. 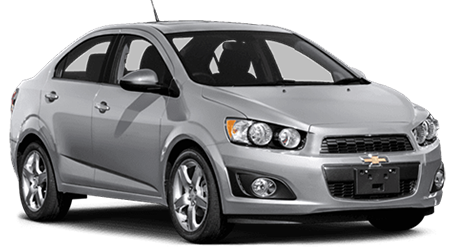 None of those features are standard, or even optional on the standard model Chevy Sonic. For real value, choose Toyota's Yaris! With better fuel economy and more standard equipment, the 2016 Toyota Yaris is the clear winner in this subcompact hatchback comparison. 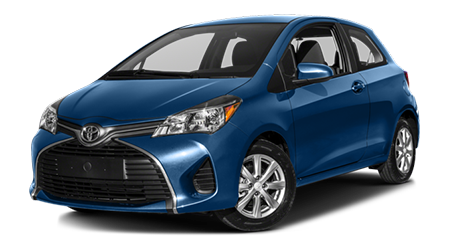 To test drive a 2016 Toyota Yaris hatchback near Hollywood, Deerfield Beach, and & Weston, FL, visit Lipton Toyota, located at 1700 W Oakland Park Blvd, Ft. Lauderdale, FL.